2011 Implementers Meeting - Resources - OpenMRS Wiki for your Wiki! Contact Dawn Seymour for additional sponsorship opportunities. 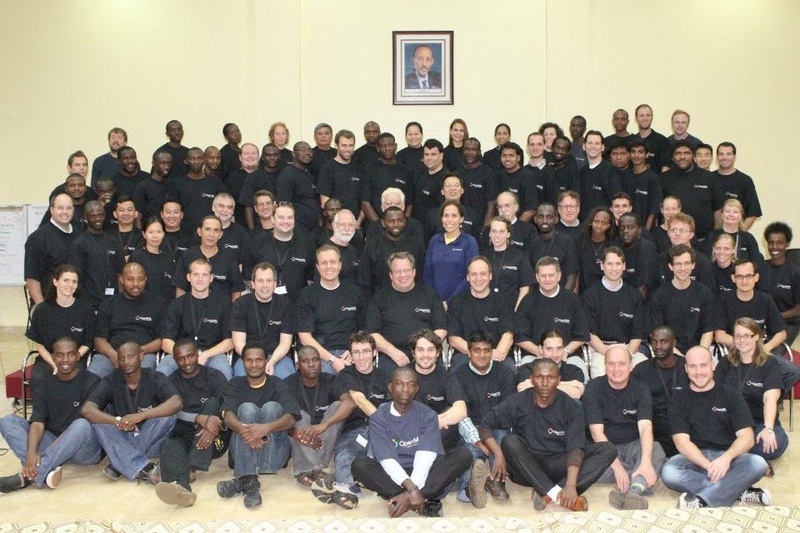 The annual Implementers Meeting began in 2006 as a way to bring members of the community together during a dedicated amount of time to collaborate, share implementation experiences, and find ways to improve OpenMRS. This year’s meeting will provide an opportunity to visit to an OpenMRS implementation site. Seats are limited, so please indicate on your registration form if you are interested in participating. It's an unconference, but that doesn't mean you can't start thinking about ideas today. Do you want to lead a session? Do you have an idea for what you'd like to see, even if you can't lead the session? You should add your proposals to our ideas page here. See the main meeting schedule page for details about session times. You should complete the online form today to register for the event. You should complete the online form here to register for the event. Thanks for signing up to attend. In case of any questions with your registration, someone will contact you using the information provided. If you need to update us, please contact the events team. Be sure to propose session topics on the ideas page! Thank you for your interest. We look forward to seeing you in Rwanda! Late on-site registration will be available at the start of the conference. Meals are included in the registration fee. We recommend staying at the conference venue, Hotel Chez Lando. Overflow accommodation is also available at Beauséjour Hotel, which is a short (5-minute) walk from the conference site. Both hotels are located near Kigali International Airport, and shuttle service is available to and from each hotel. You may book any of the options below on the registration form. You will be contacted by the registration team to arrange payment for registration and hotel fees after your completed registration form is received. If traveling by air, you will fly to Kigali International Airport (KGL). You are responsible for arranging your own travel. We have obtained a group discount if you book your flights through Air France or KLM. You should use this link and enter Event ID 13981AF to book your travel using this discount. Please indicate on your registration form if you need a formal invitation letter (e.g., to facilitate with travel visas). Ground transportation between the airport and your hotel will be provided by each hotel. Please contact them for details.